Helping those who have given so much. 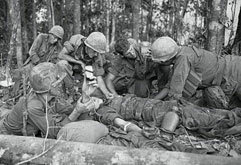 DATELINE: Vietnam 1965. With his Bible resting on the hood of his jeep Chaplain John Porter fought the broiling sun and humidity conducting open-air services for the paratroopers of the 173d Airborne Brigade. The men of the 173d were accustomed to the heat but the sudden heavy rains usually sent them scurrying for cover, as chaplain Porter continued seemingly unaffected. In the not to distances, the sound of artillery fire could be heard as if thunder from the clouds. 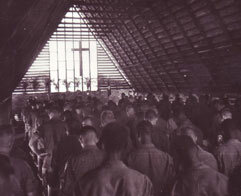 At the end of the service the paratroopers asked why they couldn't have a real chapel? Chaplain Porter explained that the Army was busy fighting a war and if they (the sky soldiers) wanted a chapel, they would just have to make one for themselves. Major Porter didn't think much at the time but later after a Sunday service one paratrooper handed him a wad of wrinkled bills ($100) "…for the chapel." He told the trooper,"Wait a few days and if you still feel you want to give this much, okay" With in a week the word had spread and Chaplain Porter had $3,500. With the help of a local Catholic Vietnamese architect, he drew up plans. Materials that were not scrounged were purchased from the local economy. The paratroopers did much of the construction themselves and soon the "A" frame construction took shape. The men of the 173d wrote home about the chapel and soon others offered support. An Episcopal congregation in Atlanta sent a silver chalice with the letters "PAX" inscribed (Latin for PEACE). People in Texas sent a bell and a local Vietnamese Christian donated a large wooden cross. All that was needed was a name for the chapel. One paratrooper, tired of all the death he had seen, told the chaplain, "this chapel symbolizes our hope for peace" … so it got the name the "Peace Chapel." The opening service was joy tinged with sadness as many of the men that worked on the chapel were killed in action, including the chaplain's assistant, specialist Raymond Bowen. 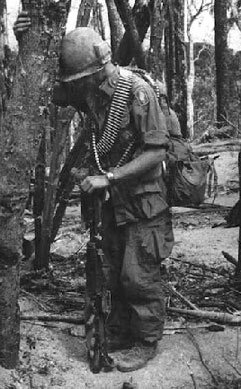 Bowen, who was from New York, was killed by a claymore mine while dragging a wounded soldier to safety. Also Specialist Robert Gibson of Georgia, who on his last Sunday service sang a solo, "My country tis of thee" was killed as he rushed ammo to his buddies. In that world of war, the chapel stood as place for peace, love and healing, under one roof. Now move forward 40 plus years and the Peace Chapel is set to be born again on a location 15 minutes from Palm Springs just 2 hours from L.A.. On 22 Acres of beautiful Sky Valley California, sits two hot springs mineral wells that come up at 142 and 150 degrees, with the most beautiful mountain views. The mission is to build a replica of the 173d Peace Chapel that the Sky Soldiers of the 173d Airborne Brigade built in Vietnam and to have a place where our veterans and military can come for treatment, stress reduction and a much needed getaway. The whole project will be a Green Construction project. To make this happen they need help from their Sky Soldiers again - help in building a retreat for those (and their families) that have sacrificed and continue to fight for freedom. Please contact Trish Porter or Larry Gonski at 909-262-2479. 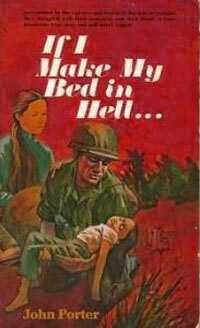 They want to hear from any Sky Soldier that may have been at the Peace Chapel or may have any photos of it. . Chaplain John B. Porter is the author of "If I Make My Bed in Hell", a story of his time in the 173d Airborne Brigade.